Deciding to take charge of your own life can be a daunting task. You may not even know where to begin. You simply feel that you've been going with the flow for far too long. The good news is that there is no one right way to get started. The key is just to do something. Taking action of any kind will likely motivate you to take more steps toward transforming your life. Inform your readers about the different ways they can take charge of their lives. Share the articles on your blog, use them in your newsletter, or compile them into a fresh new lead magnet. Then promote the content using the included emails and social media posts. Not a problem! We’ve compiled the content into a short report that you can share with your target audience. Use it as an up-sell or bonus for signing up to your list or coaching program. Turn it into a new paid product to build out your funnel, or post the articles on your site with a call to action at the end to sign up to receive the full content package. You get top-notch self-help content that you can quickly customize for your specific target audience and share with them in a variety of different ways. We even include a guide with plenty of ideas to get you started. The only way you won’t benefit and profit from this content is if you let it collect virtual dust on your hard drive. We put together a “how-to” guide to help you implement this PLR and use it to grow your list. Use it to create a short challenge, but also for any other email challenges you may want to run down the road. We've even included a section on how to write the content for your challenge yourself. We share everything we do to run and promote these challenges and grow our lists fast. Frankly, this bonus alone is well worth the price of the entire PLR bundle. 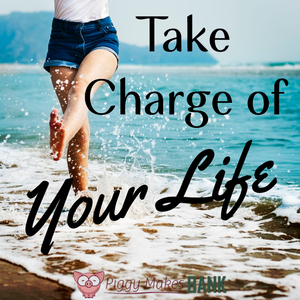 Help your readers learn more about Taking Charge Of Their Lives.